This post is not an attack against WordPress. I use it. I know it. It's great! With that being said, even though WordPress is one of the most beloved website building systems out there and powers 25% of the internet, that doesn't mean it's the best choice for everyone in the world who wants to build one. Why not? Here are some reasons why. Say what? How can something free get costly? Well, think about it. Let's say you're planning to start a blog for your business. It may not seem like this stuff adds up, but over time and depending on what you need, it can get very expensive. "After everything is added together, it can cost as little as $72.99 per year and as much as $33,162.18 per year to run a WordPress site." That's a big price range. Now, chances are you're not going to be that person who is dropping $33K a year on a website. But realistically, you should expect to spend around $800 a year on it. Need a visual? Here's the how that adds up. The WordPress.org CMS software (that's the one we're talking about here) is free, but you need to pay for hosting. 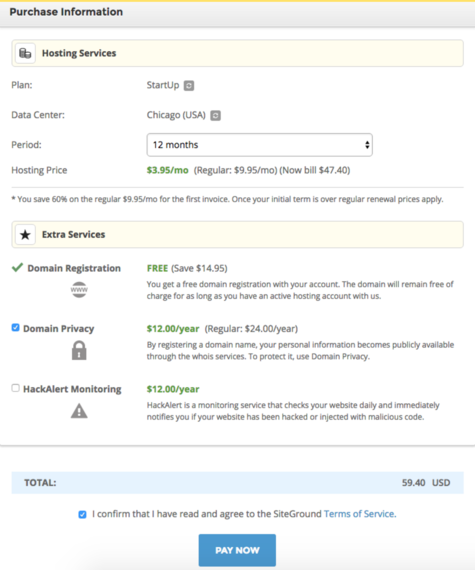 To be clear, prices and features of some of the top WordPress hosting providers all vary, but let's just say you choose a hosting platform like Siteground. 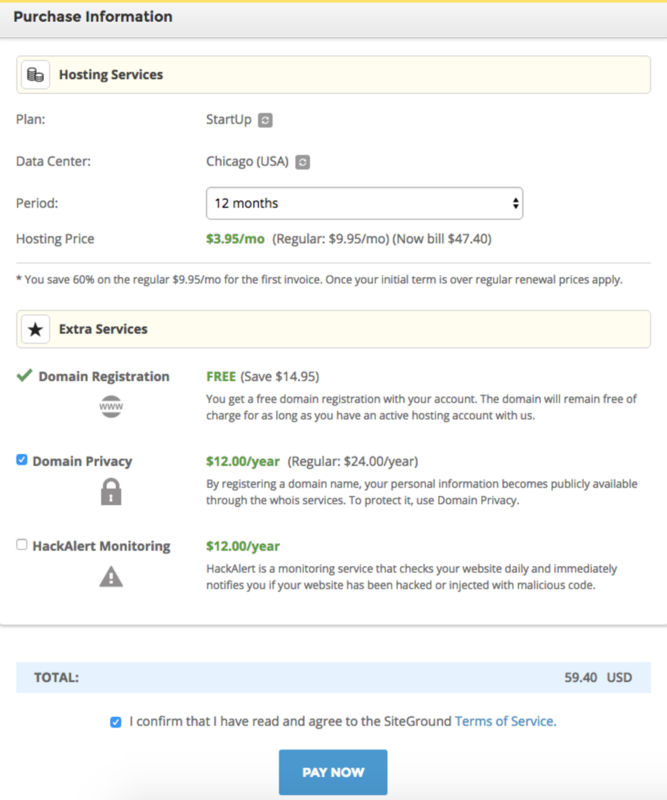 Using them will run you an initial cost at $59.40 for that first year including the domain and domain privacy. Keep in mind that this is only for the first year. Next year, the price will go up. And now that you have hosting and WordPress installed, you need a theme. You could go the cheap route and only use a free theme. But eventually, you're going to want a new theme with more features that suit you. You could find a popular theme like the ones on FancyThemes or CreativeMarket which will run you a cost between $35-$100+ or you may decide to choose a popular framework like Genesis which will cost you around $129 for both the Genesis Theme and a Child Theme. But even after you have that done, you still need premium plugins like SumoMe to do things like collect emails, and you'll want a good email marketing platform like MailChimp or ConvertKit that allows for easier email automation. And let's not forget the SSL Certificate. Google has recently released that HTTPS (using an SSL Certificate which gives that little green security as seen above) would be a new ranking signal and if you're thinking that it's something you'll ignore for now, don't. Google has stated that "over time, we may decide to strengthen it because we'd like to encourage all website owners to switch from HTTP to HTTPS to keep everyone safe on the web." Try to add a free SSL certificate from Let's Encrypt to your site. Buy an SSL certificate through your host provider and have them install it. The first option will save you money since it's free, but it's an absolute nightmare to try and do it yourself so I wouldn't advise it. The best option is to have you host provider install it, but that also means that you'll be out a bit more money. Most hosts sell SSL certificates from anywhere between $80 to $150 depending on your needs -- and that's an annual rate. While it can be costly, it's something that Google is pushing, so you should really consider this move now before they push it harder. Obviously, you could shop this down, but these aren't the sort of things to scrimp on when you're trying to run an online business. Like anything tech related, WordPress is going to have its glitches. Something as simple as updating WordPress, or themes and plugins, can wipe an entire site or end in what we in the WP community call "The White Screen of Death." When that happens, you're going to want help fixing it 'cause that ain't easy to do alone. But since WordPress is free, you won't find much support for fixing these issues except via the online forum. For real help, you'll need either really good hosting support or to go in search of someone who can fix the issue for you, and those people are even harder to find if you don't know where to look. It's frustrating and has left many people with no choice but to start from scratch again. While those who are considered more tech savvy can pick up WordPress rather quickly, there are some of us out there who just don't get it right away. If you've hit a little snag when trying to learn how to use it, don't feel bad. Whether we like it or not, WordPress does come with a learning curve and it may take you quite a bit longer to learn how to use it than you previously thought. Learning curve aside, the biggest issue that most people gripe about with WordPress is that designing a site with it is tough. And while there are page builders out there that make this easier, if you're not a web designer, adding those little touches that take a website to the next level is not going to be easy. If you do decide to go the route of using a page-builder, just know that these also come with a learning curve. So no matter what, you'll have to learn a lot before you can design anything. These are just four of the main reasons why WordPress may not be the right choice for you. There are a lot of other choices out there that could be an even better fit. And if you're worried that WordPress is the only platform you can build a business on, don't fret. There are a ton of people out there who have million dollar businesses on platforms other than WordPress and reaped the benefits. For example, rockstar blogger Mariah Coz runs a $100K a month blog and has done six figure course launches with her SquareSpace powered site. Millionaire blogger Chris Ducker runs his blog on the RainMaker Platform as it offers a lot of marketing tools that suit him. You don't need WordPress to run a profitable website or business. There are a lot of great choices out there for building a website. And while many decide that WordPress is the way to go, others may want and need something else, and that's okay. WordPress is just a tool for your business, and sometimes, it's the wrong tool for the job at hand. Now it's just up to your own due diligence in figuring out if you should hop on the WordPress wagon or not. Either way, you know your business and goals best so whatever choice you make is the one you can rest easy with.